South Sudan gained independence 9 July 2011 and, just before independence occurred, we became aware of the plight of her people. We heard about the women who walk for up to two hours each way - to collect water - and carry it back to their homes for the whole family to use. Our contact in South Sudan -‘our person on the ground’ -who made it possible for us, is Sr. Rita Grunke OLSH and she continues to do so. Many ladies in South Sudan weigh around 35kg and when carrying the water are often pregnant and carrying another baby, in a sling on their back! Before the water wells they carried 20 litre containers on their heads and any little children who walked with them were also expected to carry a container of water. By providing water wells, this becomes unnecessary. Now that they have access to water, they are able to water their crops as well as having clean drinking water and they can become self-sufficient. 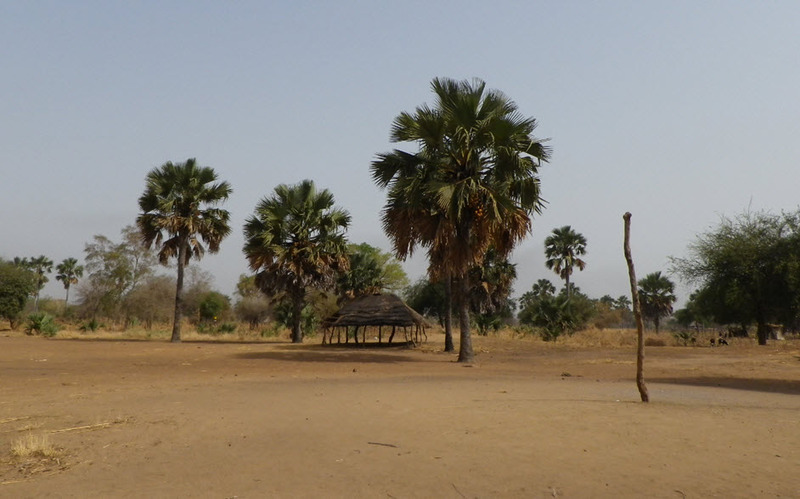 Some of their crops are bearing fruit and this was not possible without access to water close by. 1. Jesus Christ said, “Whatever you do to the least of my people, you do unto Me"
Two old galvanised buckets were sourced to remind us all of how water was once gathered, not only here in Bracken Ridge in the early days, but all over Australia. WAG decided to ask people to follow Mother Teresa’s advice and “Do small things well”. We just asked parishioners if they would contribute $1 to the buckets each time they came to Mass. Since the outreach started, we have provided eight wells and on the way to the ninth well. We are very grateful to everyone who has contributed in either a small or a large way to this important work. Thank you! 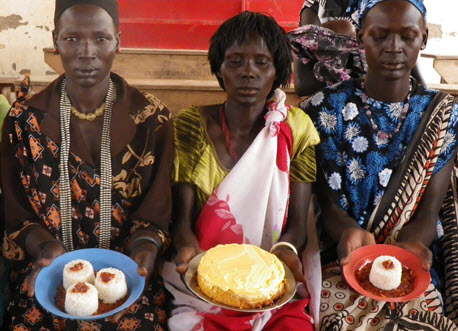 Our South Sudanese sisters made these cakes from the fruit they have grown.